Ad Dropper makes it a snap to add, manage, and track ads anywhere on your WordPress site. 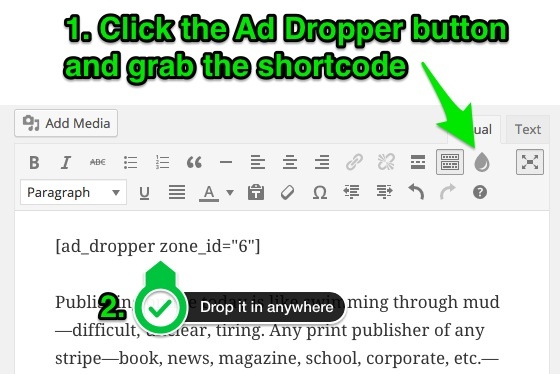 Ad Dropper makes it a snap to add, manage, and track ads anywhere on your WordPress site. Create multiple ad zones: header, footer, sidebar, and in-content. Create any type of ad with the WordPress editor: banner, text, video, or insert ad code. 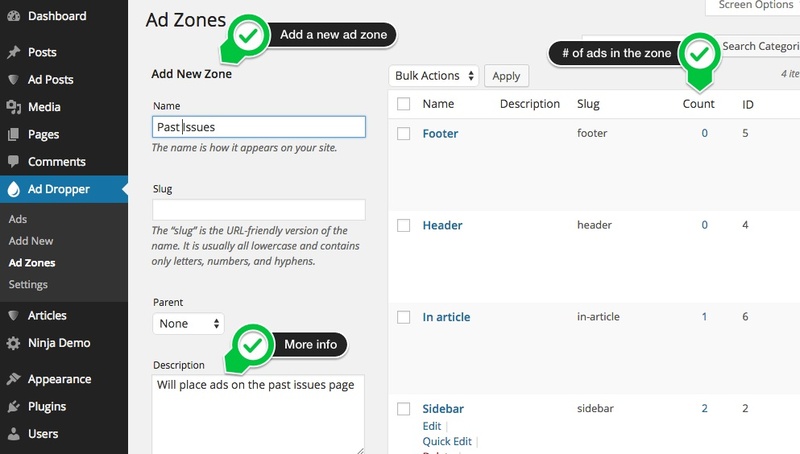 Assign 1 or more ads to your ad zones. Ad Dropper is Lightweight and tracks realtime views and clicks for each ad. Create the ad zones you need in the Ad Zones setting: Header, Footer, Sidebar, in-content, etc. Multiple ads will randomly rotate through with each page reload. Not sure which add-ons to get? Get them all with Publisher Care! Plugins and Add-Ons are subject to an annual license for support and updates. Questions?